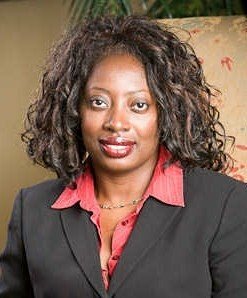 Ama Appiah is an attorney in St. Petersburg, FL, whose practice focuses on family-based immigration, family law (with a special focus on child custody, termination of parental rights, and adoption), and appellate practice. Contact information for Ms. Appiah is: Law Office of Ama N. Appiah, P.A., 721-1st Ave. N., Ste. 101, St. Petersburg, FL 33701; Phone: 727-471-3538; Fax: 727-478-3058; E-mail: aappiah.1@netzero.com; www.amaappiahlaw.vpweb.com. Also see "Student Contributions" below. "US halts deportations to Haiti"
"Homeland Security Secretary Janet Napolitano temporarily halted deportations Wednesday of some Haitians illegally in the U.S. in response to the Caribbean nation's devastating earthquake. Those with deportation orders will be allowed to remain in the U.S. Those held in detention centers will remain jailed, Homeland Security spokesman Matt Chandler said. The magnitude 7.0 earthquake that hit Haiti Tuesday is believed to have left thousands dead. Corpses were piled in the streets near flattened buildings as the world relief response got under way. The impact of Napolitano's decision should be limited, because the Obama administration quietly stopped deporting Haitians without criminal records last March, said Florida Democratic Rep. Kendrick Meek. Several members of Congress who represent Haitian communities have been pressuring the Obama administration to give temporary protected status, or TPS, to Haitians illegally in the U.S. The designation would allow Haitians to remain and work legally in the U.S. The latest disaster gave new urgency to the lawmakers' demand." This blog is for the purpose of sharing information about immigration, international human rights, and child advocacy. Nothing posted on this blog is legal advice. Should you seek legal advice, please consult an attorney directly. Nothing on this blog is intended to be a reflection of the views, endorsement, and/or position of the Law Office of Ama N. Appiah on any given topic. The hiring of a lawyer is an important decision that should not be based solely upon advertisements. Before you decide, ask us to send you free written information about our qualifications and experience. From time to time this site will feature the creative work of a high school student. Our first featured student is Nabeel Shaikh. Nabeel is a high school sophomore attending Sonoran Academy in Tuscon, AZ. He is aspiring to become a doctor. Nabeel first became interested in art as a freshman when he took art class and became familiar with many artists and techniques. His teacher encouraged him to try new things and develop his own style. His work is loose and abstract. Some of his pieces have symbolic meaning behind them. He hopes to continue with art as a hobby and continue creating some amazing artwork.